San Pedro House of Culture hosts History of Fisheries during Reef Week Fair! 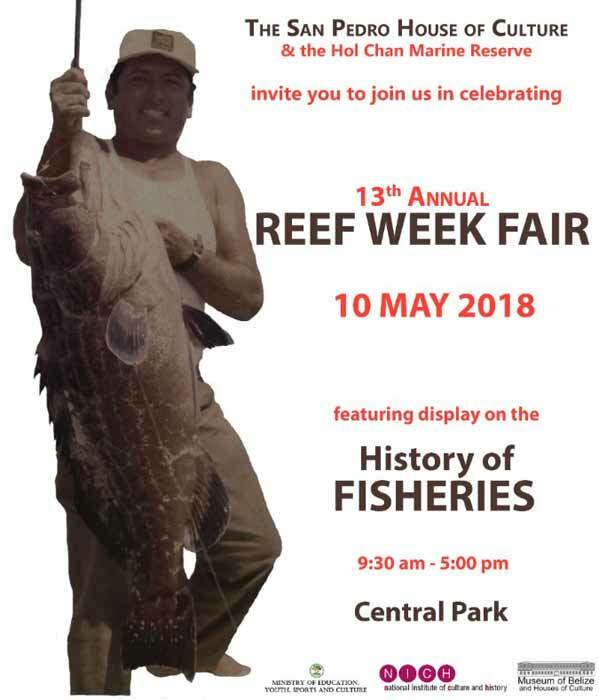 The National Istitute of Culture and History (NICH), through the Museum of Belize and the San Pedro House of Culture invites you to the "History of Fisheries" exhibit launch at the 13th Annual Reef Week Fair. Thursday May 10th, at 9:00 AM we showcase the exhibit “ The Reef helps to define Belize’s Culture & Traditions".